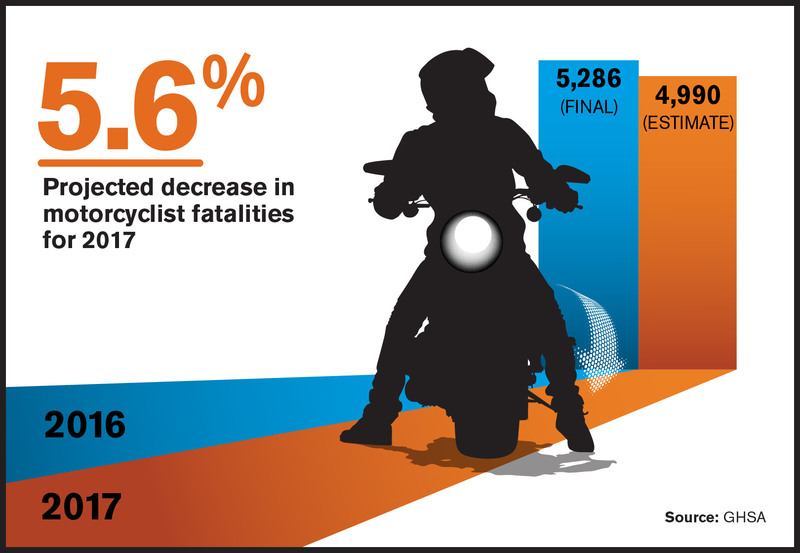 GHSA's latest spotlight report, Motorcyclist Traffic Fatalities by State: 2017 Preliminary Data, projects a 5.6% decrease in motorcyclist fatalities in 2017. 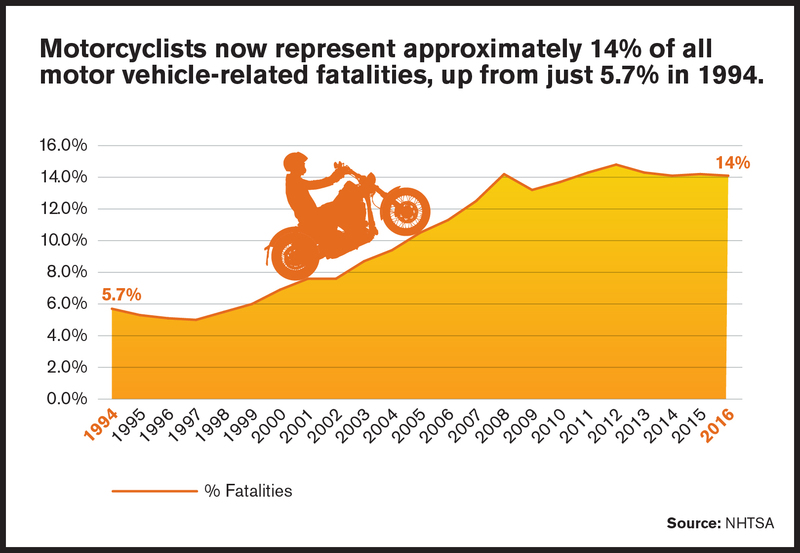 Despite this decline, the report finds that motorcyclists remain significantly overrepresented as a proportion of all traffic deaths. This report, based on preliminary data from all 50 State Highway Safety Offices and the District of Columbia, provides the first look at state-by-state motorcyclist fatality data and trends for 2017. 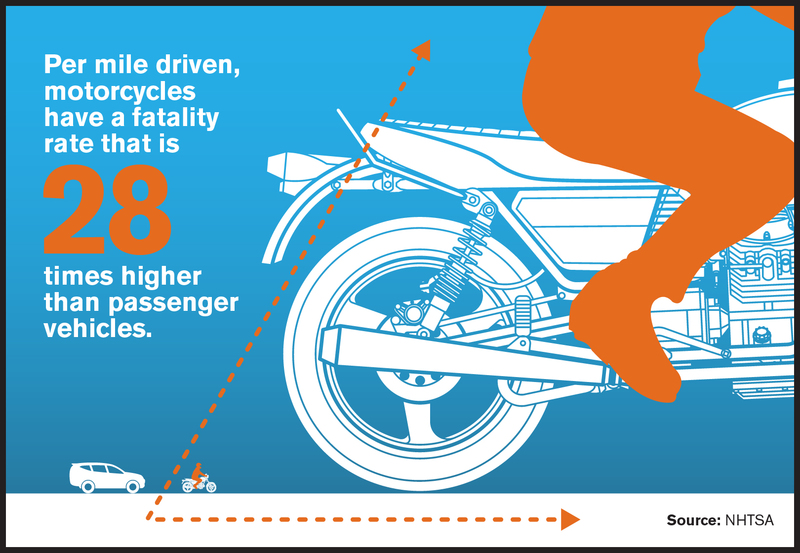 This data suggests 4,990 people were killed on motorcycles in 2017, a difference of 296 lives from the year prior. 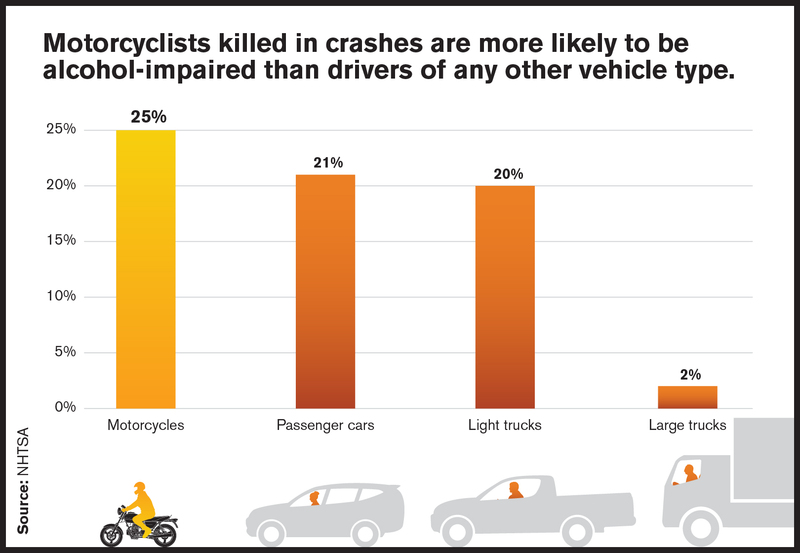 Additionally, the publication considers potential contributing factors to motorcyclist deaths, including impairment, distraction, and an aging riding population. Uncontrollable elements such as unpredictable weather patterns are explored as well. 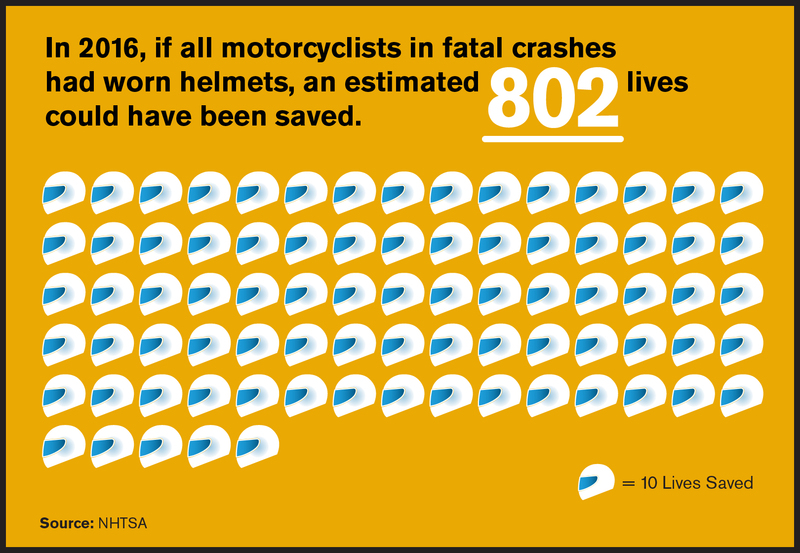 The spotlight also outlines a number of state strategies and programs working to reduce motorcyclist deaths and injuries. The report was authored by Tara Casanova Powell, an independent consultant previously affiliated with Preusser Research Group and the Traffic Injury Research Foundation.